On a construction site, it only takes a minor mistake to create a fatal accident. The fatal injury rate for the construction industry is higher than the national average in this category for all industries, according to the U.S. Department of Labor’s Occupational Safety and Health Administration. As the weather warms, nearly 6.5 million people will work at more than 250,000 construction sites each day in the United States. Workers’ compensation attorney Jennifer Kline explains how workers, supervisors and the general public can prevent construction accidents. 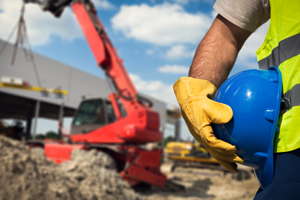 What are some of the most common construction accidents? Falls consistently account for the greatest number of fatalities in the construction industry. Falls can take place when working surfaces are unstable, protective equipment isn’t used or isn’t used properly, or human error occurs. Regardless, anytime a worker is on scaffolding, ladders, stairways – the worker and anyone surrounding the worker should be cautious. Other common injuries at construction sites may stem from hazardous chemicals; equipment, such as forklifts and cranes; trench collapses; and electrical dangers. Why is the construction industry in particular, prone to fatal accidents? There are so many factors that can impact a construction accident – a fellow worker may slip up, a piece of equipment may malfunction, a supervisor may make a bad call. Even the weather may be a factor as a rainstorm may be a very dangerous situation for workers in a trench. Oftentimes, when you’re in an office, a hospital or even a factory, you’re in a controlled environment. Construction workers don’t have that luxury as they move from site to site. They’re also often dependent on the general public to pay attention to signs and take caution as they pass by sites, whether driving or walking. What are steps employees and supervisors can take to encourage safety? First, be sure to use appropriate signage before starting work, so fellow workers and the general public know the dangers associated to that site. Workers must be properly trained on equipment, and equipment must be regularly inspected. Inspectors should also check the sites often, sometimes daily depending on the job, to make sure it’s in compliance for safety. The workspace should also be kept tidy, meaning that unused tools shouldn’t be on the ground where someone could trip on them. Workers should wear safety glasses, slip-resistant, puncture-resistant and steel-toed shoes, well-fitting gloves and hard hats as appropriate. They should also wear apparel that is highly visible, whether that’s an orange vest, yellow hard hat, etc. And of course, workers and supervisors should be following all OSHA guidelines. To protect from falls in particular, use gear such as safety nets, guardrails and restraint systems. What should the general public keep in mind when they’re passing a construction site? Be observant and be patient. Oftentimes, passersby say they “didn’t see the sign” or “didn’t see the worker.” They’re too distracted while walking or driving. So pay attention to your surroundings and take heed to warnings. Remember you are not only protecting yourself, but someone else’s mother, father, sister, brother, daughter, son.